The project 3D Scubo certainly comes to meet the big trend of the year, Because Scubo lets you take pictures in three dimensions from your iPhone . This project is divided into several phases and that, depending on what you want to achieve, you can do one thing or another, with some specific tools in each case. 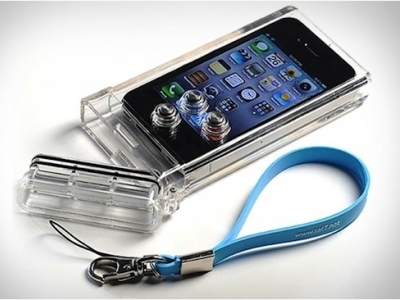 The Camer Scubo is an accessory to add to a device iPhone , and becomes a second camera that photographs the same time that the camera device itself. Thus, the pictures taken from two perspectives become three-dimensional pictures. The Scubo camera costs approximately $ 75. The Scubo Case is a viewer that allows you to see the pictures in three dimensions without the need to wear special glasses. The Case Scubo costs approximately $ 20. Applying Scubo for iPhone or iPad is part of the 3D, besides the two listed accessories in the first and second step. This application, which is free, can be downloaded from the Apple Store . 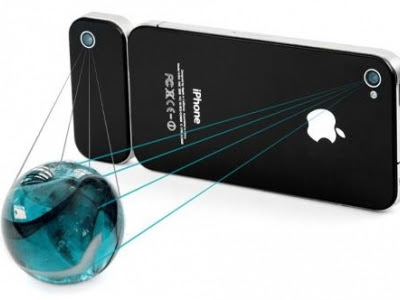 This application lets you capture photos or video in three dimensions, but you can not see the images in three dimensions if you do not have the appropriate viewers accessories for it. The video shown below is a tutorial that explains step by step how to do it. The key is to position the iPhone horizontally, placed 2 meters from the object or person you want to photograph and move the iPhone from left to right, slowly, about 5 inches. Therefore it is important to note that the quality of the final product is directly proportional to the pulse or tripod is recommended to use.